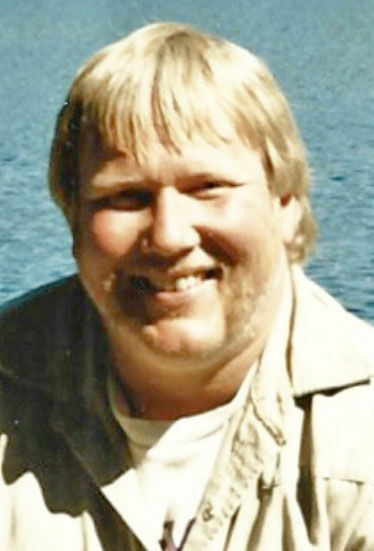 Theodore Wayne Nichols was born in Spokane, Washington on December 18th, 1953. Ted spent the beginning of his youth in Selma, Alabama before moving to Anaconda, Montana with his family in 1965. Ted loved growing up in Montana and graduated from Anaconda High in 1972. Shortly after graduation Ted was inducted into the Armed Forces (lucky number 13). Ted quickly made the decision to serve in the U.S. Navy where he was able to travel the world. Ted was a ship fitter in the Navy. After his service, Ted briefly worked at the Anaconda Arbiter plant before becoming a Union Pipefitter in Local 41 of Butte. Ted’s role as a pipefitter took him to many places including Romania, Johnston Atoll, and various states with his brother pipefitters. Ted purchased a small chunk of property in Wise River, Montana; an area he was in love with at a young age. It was there that he met the love of his life, Sherri, and they raised their two kids, Teddy and Kari. Ted settled happily into his role of a family man and enjoyed taking his kids floating and fishing on the Big Hole. Ted also loved taking his kids hunting and especially had some wonderful memories deer hunting at Sherri’s family ranch in Lewistown. In 2006 Ted lost his son Teddy tragically in a car accident, a scar that could never heal. Ted always looked for the good in life and spent so many happy nights in the shop with his friends and family laughing, rocking out to music, fixing sleds, working on cars, welding, and of course building the pole barn. Ted was an ingenious builder with a vision unlike any other. Building the pole barn was his son’s dream, and completing this was an accomplishment he was so proud to honor Teddy with. In 2016 Ted was diagnosed with ALS, a disease that slowly took its toll. Ted stayed so positive and thankful with the life he was handed. Ted passed away peacefully on Friday, December 21st with his family by his side. He was preceded in death by his son, Theodore D. Nichols; father, Clyde L. Nichols; and sister, Nicki Leiss. He is survived by his spouse, Sherri Nichols; daughter, Kari Nichols; mother, Shirley Nichols; sisters, Cathy Girton, Dory Schiele (Bill), and Jenni Micheletti (Joe); brothers, Clyde L. Nichols Jr. (Jeri Kay) and Rob Nichols (Linda); and many nieces and nephews. Cremation has taken place at Brundage Funeral Home in Dillon. A Celebration of Life will take place in the late spring or early summer 2019 at “The Shop”. We will provide a notification prior to the celebration.